Apple sold essentially the same number of iPhones last quarter as it did a year prior, but sales and profits soared as it made more money from higher-priced devices. Apple (AAPL) said Tuesday that it posted a $11.5 billion profit for the three months ending in June, up 32% from the same period a year ago. Apple's revenue increased 17% to $53.3 billion, a new record for its fiscal third quarter. The jump comes despite flattening iPhone unit sales. Apple sold 41.3 million iPhones during the three months ending in June, little changed from the 41 million it sold in the same period a year ago. The results highlight Apple's successful shift away from depending on selling more and more iPhones in order to grow its business. Instead, Apple is finding new growth from higher priced iPhone models, like the $999 iPhone X, as well as supplementary services offered for its portfolio of devices. 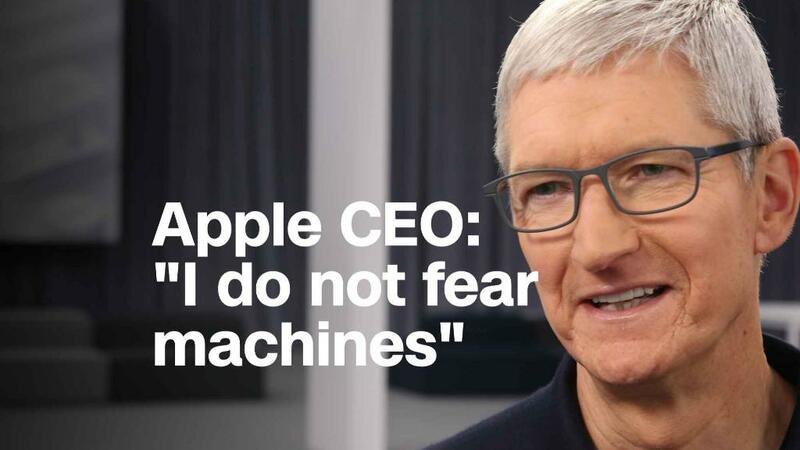 "Apple is no longer a 'one trick pony' with its entire future based on ever rising iPhone unit volumes," Dan Morgan, senior portfolio manager at Synovus Trust, told CNNMoney by email. Apple's Services category, which includes the App Store, Apple Pay and AppleCare, hit $9.5 billion in sales for the quarter, up more than 30% from a year ago. Meanwhile, the average selling price of an iPhone was $724 during the quarter, up from $606 a year ago. On a conference call with analysts after the report, Apple CEO Tim Cook said the pricey iPhone X has been the "top selling iPhone" model since it launched last year. Apple also gave investors reasons to be optimistic about the timing and demand for the next iPhone launch expected in the fall. Apple forecast its sales for the upcoming quarter would be between $60 billion and $62 billion, above Wall Street's expectations. Multiple analysts expect Apple to release three new iPhone models in the fall, though the precise timing of each is unclear. Typically, Apple launches new iPhones in the second half of September, just before its fiscal fourth quarter ends. Cook also sounded a positive note when asked about the looming threat of tariffs on its business, despite the recent escalation in the trade war between the United States and China. "Each country can only prosper if the other does. I can't predict the future, but I am optimistic that the countries will get through this," Cook said on the call. "We are hoping that calm heads prevail." Apple stock rose more than 3% in after hours trading Tuesday following the earnings report. Apple is now within striking distance of becoming the first company to top a $1 trillion market value. The report comes amid investor jitters about the tech sector. The so-called FAANG stocks -- Facebook (FB), Amazon (AMZN), Apple, Netflix (NFLX) and Google parent Alphabet (GOOGL) -- started the week in the red, after two members of the much-hyped group spooked investors by growing more slowly than expected.